I have only one chicken item on the menu. It's a chicken breast that has been cooked sous vide in lemon olive oil. Its nice and tender but the problem I have is that Chinese don't like chicken breast and so I have always wanted to add a chicken item on the menu with bones. 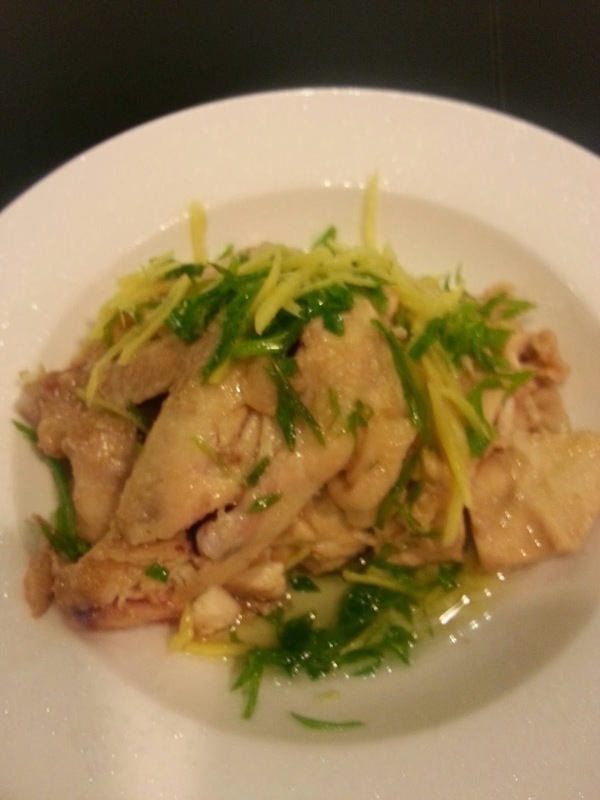 I ordered 2 small roaster chickens and cooked them sous vide in a chinese ginger sauce. The flavours were there, except I cooked one for 4 hours and the other for 2 hours. The difference in cooking time were immaculate. Both retained their moisture and was tender, but the one cooked for 4 hours was overcooked, and was considered mushy. On the other hand, the one cooked 2 hours had texture to it. It's very interesting to see how much difference there is to the texture when meat is cooked for different times.